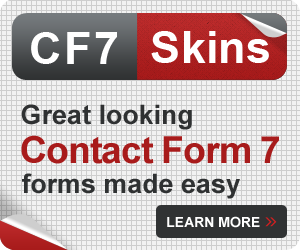 For CF7 Skins & it’s Add-ons to work you need to select one of our CF7 Skins Styles. 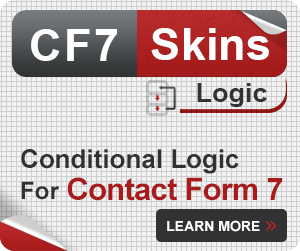 Tip: The currently selected Template & Style are shown in red near the top of the Skins metabox. 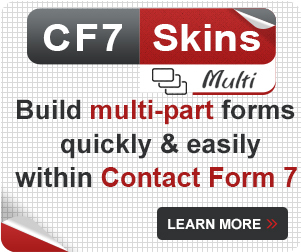 We recommend you initially select the Default Style which is the minimum needed to support CF7 Skins our Add-ons CF7 Skins Ready, CF7 Skins Multi & CF7 Skins Logic. 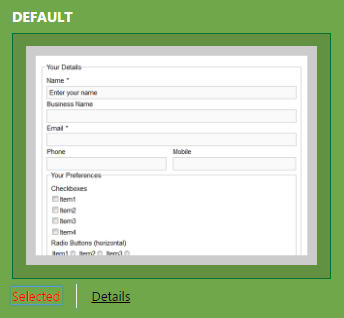 This lets you see what your form looks like with CF7 Skins added to form styling applied in current WordPress theme. 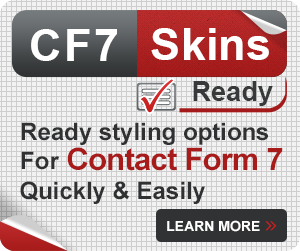 You can pick any of other CF7 Skins styles if you want which will give significantly more detailed styling of your form. 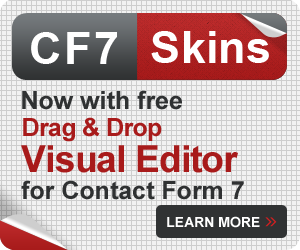 Tip: We recommend you initially select the Default Style which is the minimum needed to support CF7 Skins.